For those committed to eating locally grown, sustainably raised food, the South Shore and South Coast of Massachusetts are a slice of heaven. Organic farms dot the land and numerous farmers markets connect growers and customers in a fun, festive atmosphere. Hugging our coastline, the Atlantic Ocean teems with fish and, increasingly, sustainably raised animals graze in our fields. However, just twenty years ago, the picture looked very different. The local food scene often amounted to a card table at the side of the road with tomatoes, zucchini, and blueberries for sale. The remarkable progress that has been made is due, in part, to a few visionary pioneers who, through their example, showed us that change was possible. In 1994 Donna Blischke founded Web of Life Farm located in Carver, and for the past twenty years she has been at the forefront of the local food movement. Inspiring people with her commitment and sharing her knowledge, she has helped the local organic food culture blossom. Travis, Donna, and Stephanie Blischke grow food and grow together at Web of Life Farm. As is the case with many farmers, Donna’s love of growing food has roots in her mother’s garden. Her mom kept a small garden and was committed to growing with no chemical inputs. 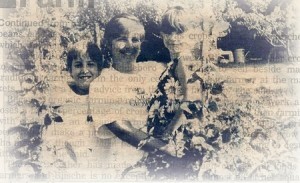 As an adult, having children was Donna’s impetus to start her own garden. She recalls, “I wanted to grow food for them that was clean,” and remembers how it struck her that if she sold some extra tomatoes, she could make some money, stay home with her children, and still grow good clean food for them. From there it mushroomed. My, how it has! Donna now actively farms three acres and raises a wide variety of animals. She has also passed her mom’s love of growing food onto the next generation; her daughter works with her at the farm and her son, along with several others, helps out occasionally. Web of Life is a diverse farm, reflecting Donna’s innate curiosity and belief in the interconnectedness of all species. As she says with a laugh, “I see something, I think it is interesting, and I want to leap into it.” Whether it is an heirloom variety of beans or a breed of goats she just learned about, if something piques her curiosity, it often ends up at the farm. The result? Donna grows a broad array of vegetables and fruits at Web of Life Farm, many of which are not found on other local farms; she also keeps bees, goats, chickens, and turkeys. 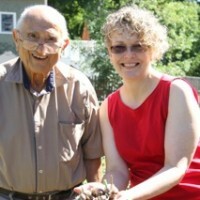 Barbara Anglin, a longtime local foods activist, notes, “Donna does things no one else does.” And each year, in a nod to her Irish heritage, Donna and her two children also plant potatoes. She relates, “We even have an Irish potato harvesting song and I force them to sing it … every year. Losing tomatoes to blight here on my farm made me think of the horror my family must have felt at seeing the only crop that would ensure their survival through the winter, fail.” Web of Life also boasts a small orchard with apple and cherry trees, as well as Concord grape vines. Donna grows both heirloom and non-heirloom varieties of crops and orchard trees because, as she explains, “I love food with a history.” Some of the varieties she grows, including the Esopus Spitzenburg, reportedly Thomas Jefferson’s favorite apple tree, are listed on the Ark of Taste, (a project of the Slow Food Foundation for Biodiversity that seeks to help preserve foods in danger of extinction). 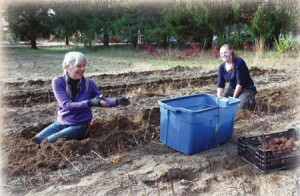 Donna and Steph reap and pitch fingerling potatoes. As a young girl, Donna learned food preservation skills from her mother and she uses these skills to stretch the harvest, enabling her customers to enjoy local foods long past the end of the growing season. Extra tomatoes are made into sauce or salsa, fruit into preserves, and cabbage into sauerkraut. Donna observed, “If we don’t sell everything at the markets, I will find a way to can or jar it.” She even grows heirloom flint corn that is dried on the stalk and then ground into cornmeal. Donna explained, “a lot of times, cornmeal has been stripped of the good parts of the kernel. Ours is a whole grain product.” Nothing on the farm is wasted–after realizing she wanted to find a use for the hair from her goats, Donna bought herself an old spinning wheel and taught herself how to spin yarn. Several years ago, Amish craftsmen built a beautiful barn at Web of Life Farm that includes a demonstration kitchen and homey sitting area. Donna plans to use this space to offer classes, teaching food preservation skills to others. Donna’s preserved foods are welcome additions to her farm boxes and are also sold at the Plymouth farmers’ market. 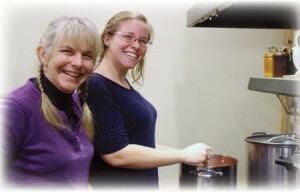 Donna and Stephanie Blischke mix it up making their heirloom staples. Barbara describes Donna’s work as an “agricultural ministry.” Although Donna is now focusing solely on farming, for years she helped provide access to local foods by running the Middleborough farmers’ market. Donna also shares her years of wisdom with a close-knit group of friends she calls a lovely group of likeminded farmers. . .it is a collaboration, really. In the last ten years, farmers’ markets have become beloved fixtures in many communities, providing access to locally-grown and -sourced foods, a vibrant sense of community, and inspiration to improve the way we eat. In recent years, they have become something else—a springboard for business growth, as market vendors venture beyond the farmers’ market and begin selling their products in more traditional retail outlets. While not all vendors decide to take this route, it has proved very successful for three market favorites—Baking with Joy, Nella Pasta, and Ruuska Pickles. Although the three companies followed different paths as they entered the retail market, the move has proved successful for each of them. Baking with Joy bakes more than fifty items from scratch, including cakes, quick breads, cookies, and bars. The products were an instant hit at farmers’ markets and, within a year of its 2006 founding, Baking with Joy was selling its products at the Fruit Center Marketplace, a grocery store with locations in Hingham and Milton. This year, Hornstra Farms also began delivering select Baking with Joy products. Sales growth has been so strong that the company recently moved its baking operation from their certified home kitchen into an 1800 sq. ft. facility located in Rockland. This new space will also be home to their own retail venture, a bakery café. 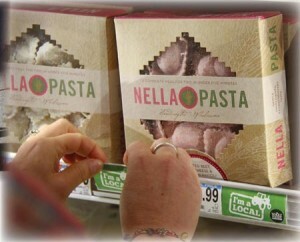 Nella Pasta on the freezer shelves at Whole Foods in Hingham. 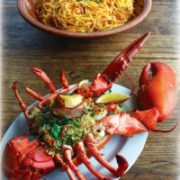 Nella Pasta, based in Quincy, makes twelve delicious and inventive varieties of handcrafted ravioli and linguine, using local ingredients whenever possible. 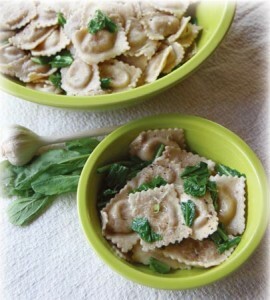 Intriguing pairings such as kale/currant and broccoli/feta/toasted cashew elevate Nella’s ravioli far beyond its bland mainstream counterparts. While Nella Pasta continues to sell both its ravioli and linguine at many area farmers’ markets, they have also achieved widespread retail distribution of their ravioli throughout New England at both local, independent grocers and Whole Foods stores. 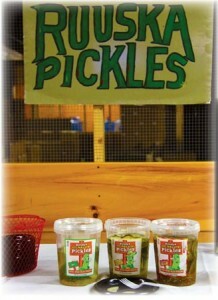 Brian Ruuska started his eponymous pickle company in 2011, selling pickles such as Fire Dill and Sweet n’ Spicy at farmers’ markets and a few local, independent grocery stores. 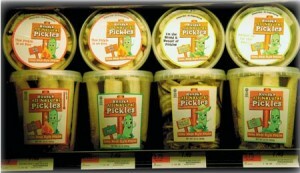 After partnering with a larger, family-owned food company, he was able to grow his distribution substantially and Ruuska Pickles are now found at many local, independent grocery chains such as Trucchi’s Supermarkets, and Whole Foods, as well as in stores as far away as Illinois and Texas. As the company grew, Brian decided to stop selling at farmers’ markets and concentrate exclusively on retail distribution. For entrepreneurs accustomed to selling at farmers’ markets, moving to retail outlets inevitably brings change. Margins are smaller but, hopefully, increased sales offset the difference. And, unlike the farmers’ markets where they are paid immediately, retailers usually require payment terms, often paying the vendors a couple of weeks after the product was delivered. For the newly-minted retail vendor, this new cash flow pattern can require some adjustment. For products that distinguish themselves, in part, by their handcrafted nature, ramping up production to meet increased retail demand can be a challenge. Mark Mignosa, store manager of the Hingham Fruit Center, which carries many products with farmers’ market roots, notes, “there is a shock sometimes when it goes from farmers’ market production to a weekly retail store production.” Delivering products to a wider geographic area can also prove to be a challenge. Because it is a frozen product, Nella Pasta had to find a frozen foods distributor, which was challenging for a small company. But, establishing a relationship with the right distributor can also translate into much wider retail distribution than a vendor could hope to achieve selling solely at farmers’ markets. “Do it!” urges Linda Davis of Baking with Joy. What advice to these market vendors have for others contemplating this move? “Do it!” urges Linda Davis of Baking with Joy, because it “gets your product out to a wider range of people.” These products have a devoted following and, for those vendors who want to grow beyond what is possible at farmers’ markets, moving to retail is a logical next step. 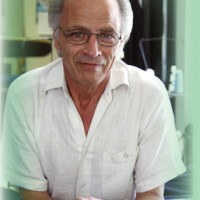 As Brian Ruuska observed, “Retailers LOVE local companies because customers are asking for them!” So, folks, keep asking! 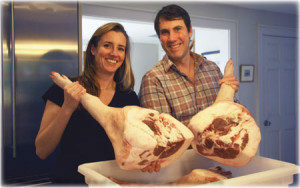 Amy and Sam Hainer are able to sell cuts of meat from their pigs at Pokatimus Farm. New homeowners often have big plans for their backyards—a stone patio, a garden, or perhaps a pool. When Amy and Sam Hainer purchased their Norwell home four years ago, they too had big plans for the space out back. But, since their property is bigger than most—five acres to be exact—their plans were a little more ambitious. Amy dreamed of having a farm. So, after years of often grueling effort, Amy and Sam fashioned a small-scale farm on their property. Named Pokatimus (POH-cah-TIH-muss), the Algonquin word for the white oak trees that dot the property, the farm is home to six pigs, five goats, five chickens, and a robust garden. 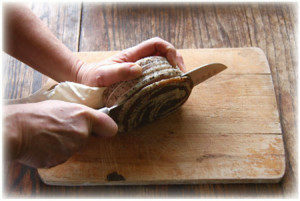 Along the way, the Hainers developed a new passion, becoming intrigued with the culinary tradition of charcuterie. And, since they were raising their own pigs, it was a match made in, well, hog heaven. Both Amy and Sam were raised in Norwell. Neither is from a farming family, but early on Amy felt a great kinship with animals. 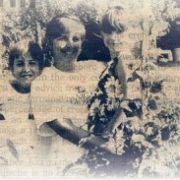 As a child, she wanted to be a veterinarian, and after college she lived on a New Zealand sheep farm, happily pitching in with shearing and other chores. That farm also raised chickens and grew vegetables. According to Amy, “I was getting all my food right there. I didn’t have to go food shopping except for the basic essentials like flour. That was a big influence on how I wanted to live in the future, being able to sustain yourself on your own piece of property.” Luckily, Sam came to share this goal and they launched Pokatimus early in 2010. Now, like many farmers, the Hainers live dual lives, working full time in other professions while farming in their off hours. In fact, according to the 2007 Census of Agriculture about 50% of farmers report something other than farming as their primary occupation. Amy is a Senior Designer/Project Manager at Peabody Office and Sam is Director of Finance & New Business Development, Higher Education at Harvard Business Publishing. 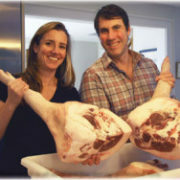 As the Hainers were starting their farm, they found the Livestock Conservancy website (www.livestockconservancy.org), which introduced them to heritage breeds. The Conservancy aims to preserve rare livestock breeds, so that genetic traits that have been bred in these animals over hundreds of years are not lost. Because industrial farms generally raise only a couple of breeds, usually chosen for their high production of meat, milk, or eggs, preserving genetic diversity has become increasingly important. 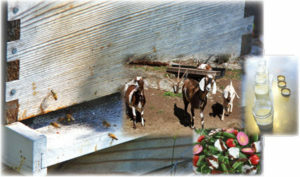 The preservation work being done by the Livestock Conservancy resonated with Amy and Sam, and thus over the years Pokatimus Farm welcomed several rare breeds, including Arapawa and San Clemente goats; Tamworth, Tamworth/Saddleback cross, and Ossabaw Island hogs; and Buckeye and Partridge Plymouth Rock chickens. This commitment is not easy or cheap; the Hainers often had to drive hundreds of miles to purchase these rare breeds and pay the steep price that reflects the scarcity of these animals. The Ossabaw Island pigs they raised this year cost $200 each. As Sam pointed out, “If you purchased pigs from the guy down the road, you’ll probably pay $50-75 a pig.” They believe the premium price is worth it, both for the higher quality of the meat and to help in the important work of preserving rare breed animals. The lives of the animals on Pokatimus Farm are worlds away from their industrially raised brethren; with large pens in the woods, the pigs are free to roam and root and the goats to run and buck. Charcuterie appealed to the Hainers because, as Amy said, “we were raising these animals and didn’t want there to be any part of them that became waste.” Charcuterie is a centuries-old method of food preservation that evolved at a time when meat was scarce. Frugal cooks learned to use every part of the pig to help keep their families fed, including the cheeks (to make guanciale), the head (terrine), offal (terrines and pates), stomach (pancetta or bacon), and legs (hams and prosciutto). 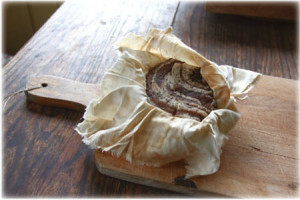 There are two primary methods of preparing charcuterie: wet curing, or brining, and dry curing. 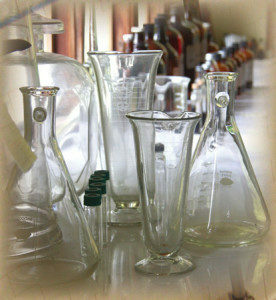 Salt is a critical part of the preservation process, and various herbs and spices can be added to change the taste profile. Over the centuries, different cultures have put their own spin on charcuterie, which is how the German frankfurter, Polish kielbasa, and Spanish chorizo evolved. Recently, this age-old craft has undergone a renaissance, with artisanal charcuterie makers all over the country reintroducing people to these delicious foods. In order to learn how to make the many and varied charcuterie products, the Hainers read many books and Amy travelled to New York City to take a series of classes at the International Culinary Center. There was much to learn. For example, making dry-cured charcuterie is a delicate balancing act where both temperature and humidity must be frequently adjusted as the meat ages, and each step is important to ensure both taste and food safety. 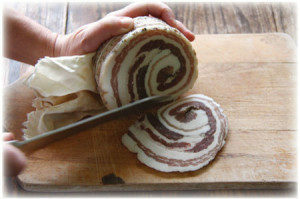 But just one taste of their prosciutto is testament to the fact that the Hainers have mastered this art. The Hainers dream of one day selling their charcuterie to the public, but at this time they can only make it for their own consumption and to share with family and friends. Although their pigs are slaughtered in a USDA-certified facility, in order to sell their charcuterie products, the meat would then have to be prepared in a USDA-approved processing facility. Unfortunately, there is no local certified facility that will dry-cure meat from small-scale producers. While there are companies doing this small batch work for farmers in Vermont, the added transportation costs make this an unrealistic option for the Hainers. As interest grows in artisanal charcuterie, let’s hope that more USDA-approved facilities doing this kind of work will be established in our area. Luckily, the Hainers are able to sell cuts of meat from their pigs and, each fall, their loyal customers gather for the annual sale. This fall, thanks to the culinary cachet heritage pork now enjoys, a Boston restaurant purchased three whole Pokatimus pigs. Julia Powers has long been a fan of charcuterie and the rich flavor it adds to soups, pastas, and braises. In the spring, when tender greens finally make their reappearance, she likes to serve salad topped with crisped prosciutto and blue cheese. Ah, heaven. At Glastonbury Abbey,Chef / Farmer John Gauley & Brother Dan are mindful of their commitment to help others and share their bounty with those in need. For most of us, preparing dinner is part of our daily routine. However, in our scramble to get dinner on the table, it’s easy to forget that the choices we make about food reflect our values in a very tangible way. Glastonbury Abbey, located in Hingham, is home to a community of Benedictine monks who, along with their long-time chef, John Gauley, make choices about their food that express key values held by their community — simplicity and a commitment to social justice. Because of the many benefits of local foods, from superior taste to a smaller carbon footprint, much of the produce used at the Abbey is grown in its garden or purchased from local farms. John takes this commitment to local food even further: he raises goats and bees whose milk (well, really, cheese) and honey help feed the monks. And, mindful of their commitment to help others, the monks share their bounty with those in need. 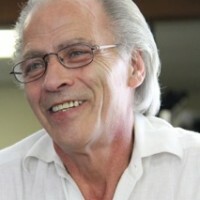 Although John is not a religious person, he is deeply spiritual and feels like he has found his home at the Abbey. “They [the monks] are like my family,” he says. “I love them. Some people say they like their jobs, I love mine. . .the values, the community, the support.” And the feeling is mutual. When asked about John’s cooking, Brother Dave, one of the monks, said, “The food is always of superior quality, healthy and well-prepared.” John believes strongly in sustainable eating and he has spearheaded many of the efforts at the Abbey that support that belief. Eighteen years ago, after learning about the critical role bees play in pollinating plants, John established his first beehive at the Abbey. After taking a beekeeping course through the Plymouth County Extension Service, he continued learning from noted bee expert Gunther Hauk. John is committed to raising bees organically — without the use of chemicals to treat mites and hive beetles, or antibiotics or sugar syrups to supplement the hive. Now, he has fourteen hives: one in Weymouth, four at Hingham’s Weir River Farm, and the remaining nine at the Abbey. John says the bees remind him of the Abbey: “The hives are a community, working together for the common good.” The honey produced by the hives is used in the Abbey’s kitchen, and if the hives have been productive, the extra honey is sold in the Abbey’s bookstore. 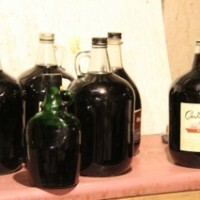 In 2010, three hundred pounds of surplus honey was sold. However, in 2011, there was no extra honey to sell; production was down because last year’s above average rainfall washed away much of the nectar. Up a short path from the hives is a rocky outcropping that is home to the Abbey’s eight Nubian goats. With the help of a few neighbors and some of the monks, John cares for the goats, which have lived at the Abbey for four years. “The goats add a lot to the Abbey,” according to John. “They have brought a lot of families in. 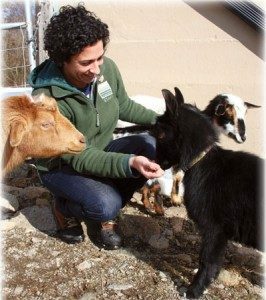 The kids love to feed them.” Currently, there is one goat milking and John uses the milk to make cheese such as marinated feta. He is also experimenting with Gouda, blue cheese, and fresh chèvre. 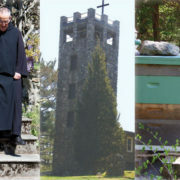 The gardens are the cornerstone of the Abbey’s efforts towards sustainable eating. Uphill from the chapel, the monks’ garden provides many of the vegetables used in John’s cooking. There is also a fragrant herb garden right outside the chapel. The herbs are used both in cooking and to make soap that is sold in the bookstore. John’s latest project is the community garden. Set in a clearing at the top of a steep hill, the garden, ringed in fieldstones, is divided into twelve plots. At the center of the garden sits a stone bench that is a perfect spot for reflection. In summer, flowers will encircle the garden, both to enhance its beauty and to provide blossoms for the chapel. Neighboring parishes and families will be invited to adopt a plot in the garden, either for their own use or to grow fresh produce for members of their parish in need. The community garden is just the latest example of Glastonbury Abbey’s commitment to social justice. 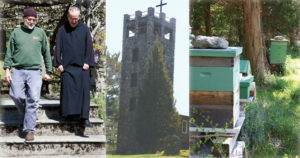 For many years, the monks have hosted monthly Sunday Suppers, where they invite people in the surrounding communities who are struggling financially to join them for dinner. And, twice a month, the monks provide dinner for the residents at Father Bill’s shelter in Quincy. The monks at Glastonbury Abbey choose to live simply, in solidarity with those in need, and the food they eat reflects this choice. With the help of their chef, John Gauley, they are able to eat in accordance with their values and enjoy delicious food at the same time. Now that is divine! Julia Powers lives in Hingham, just down the road from Glastonbury Abbey. She is happy to have neighbors who share her commitment to local, sustainable food. Amy Baron greets “Bill” and the kids at Weir River Farm in Hingham, MA. “I couldn’t see myself not being outside and moving around and being active.”-Adam Tedeschi at Second Nature Farm in Norton, MA. Help wanted: recent college graduate seeking a job providing independence, a deep sense of satisfaction, and plenty of manual labor. Love of nature, a desire to work outdoors, and a passion for food are essential. Must be willing to work long hours for relatively low pay in sometimes challenging conditions. If interested, apply at a small farm near you. Given the hard work and low starting salary, it is surprising that one of the world’s oldest professions is undergoing something of a renaissance among young people. The 2007 U.S. Agricultural Census (the most recent available) shows that in just five years, the number of Massachusetts farmers age 35 and under increased more than 60%—from 210 in 2002 to 341 in 2007. In order to find out why farming appeals to this generation of young adults, I spoke with three farmers: Adam Tedeschi (age 27) of Norton’s Second Nature Farm, Rory O’Dwyer (age 32) of Langwater Farm in Easton, and Amy Baron (age 32) of Weir River Farm in Hingham. From an early age, all three farmers loved nature and being outdoors. 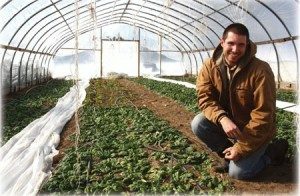 While at college, Adam, a graduate of Wesleyan University, worked at the student-run farm and spent summers working at a perennial nursery in Norton. When asked what drew him to farming, Adam said, “I loved combining physical and mental work. I couldn’t see myself not being outside and moving around and being active.” For Rory, who farms with her brother Kevin and sister-in-law Kate, her nascent love of agriculture began with her mom’s garden. After graduating from Providence College, where she developed in interest in food politics, she got a job at small farm to see, as she put it, “how it really works.” At the end of the summer she left for “a grown-up job” but lasted only two weeks before she realized that she “had fallen in love with farming.” Over the next several years, she honed her skills and then started Langwater Farm with her family members. It was also a backyard garden, in this case behind her college apartment, that got Amy, who has a biology degree from Tufts, interested in agriculture. A course in urban community gardening and a five-year stint at City Sprouts teaching school children about growing food followed. All three farmers spent several years as apprentices on farms, gaining valuable experience. 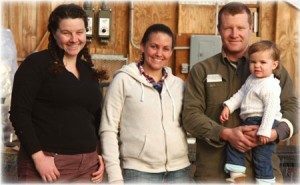 Rory O’Dwyer, sister-in-law Kate, brother Kevin, and Madison of Langwater Farm in Easton, MA. Another challenge for young farmers is finding themselves socially isolated from their peer group, many of whom live in the city. Farming is a profession with notoriously long hours and, as Adam says, “when something starts at 10 pm, that is like an hour past my bedtime.” Rory echoed this sentiment. “People were really offended when I didn’t want to hang out. 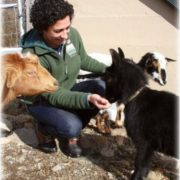 They love coming to the farm, they love when I bring food but they don’t like that I spend all my time here.” However, many young farmers have found a way to stay connected with their peers through Eastern Massachusetts CRAFT, a group of beginning farmers that gathers monthly at different farms for a discussion followed by a potluck dinner. 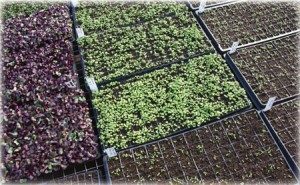 Seedlings burst from greenhouse trays at Langwater Farm. These three farmers share a love of, in Amy’s words, “making food and feeding people.” And, they are willing to work long, hard hours in order to pursue their passion. Their chosen profession has many challenges, but some, including lack of access to capital and prohibitive land costs, hit young farmers particularly hard. However, for anyone who values local farms and the positive impact they have on our communities, it is vital that these young farmers not face these challenges without our support. The easiest (and most delicious) way to support these farmers is to join their CSA program or patronize them at one of the farmers’ market they attend. Langwater Farm also has a farm stand, which is open Tuesday through Sunday from 10 am to 6 pm. If appropriate, landowners can also explore the Commonwealth of Massachusetts’ 61A tax incentive program, which gives preferential tax treatment to landowners who commit to using their property for agricultural purposes. With lower tax costs, this land is then more affordable for beginning farmers to buy or lease. At one time, small farms were a vital part of the fabric of the South Shore, and with our support, these young farmers will contribute to the resurgence of such farms. We are all the better off for it. 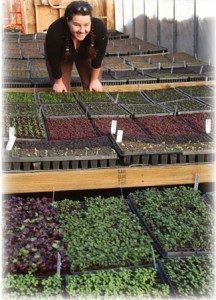 Young farmer reviews young seedlings. Julia Powers lives and writes in Hingham. She appreciates young farmers for their energy and enthusiasm, not to mention their delicious food. For even the most committed locavore, the start of winter can bring a sense of trepidation. Root crops, those stalwarts of winter seasonal eating, are undeniably delicious, but by the time spring comes many people are sick of squash, bored with beets, and just plain tired of turnips. Not to worry! With some advance planning, summer’s bounty, and the variety it brings to your table, can be preserved in your freezer. The time to start preparing a well-stocked freezer is now, when gardens and farmers’ markets are brimming with produce. Prices are reasonable and quality is at its peak. Great candidates for freezing include greens—such as spinach, chard, and kale—peas, beans, peppers, and corn. However, not every veggie is freezer friendly; because of their high water content cucumbers, eggplant, and zucchini do not freeze well. PREPARE. Prepare. Prepare. Thoroughly wash and prep the food. 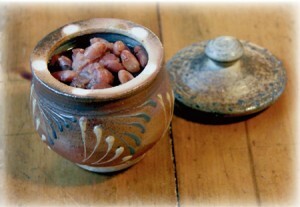 Remove the tough stems from kale, chard, and spinach, break the ends off beans, and remove corn kernels from the cob. I like to freeze foods prepped to the size in which I will use them. 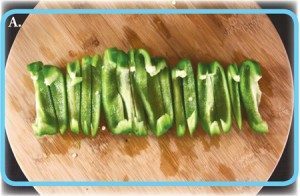 For example, chop green beans and peppers to the size used in soups or fajitas. BLANCH. Blanch. Blanch. Vegetables contain enzymes that will cause them to discolor and turn soggy when they are frozen and thawed. Blanching the veggies before freezing will deactivate the enzymes and preserve quality. To blanch, simply add the veggies to a large pot of boiling, salted water. Blanching times vary from one minute for tender greens to four minutes for corn kernels. 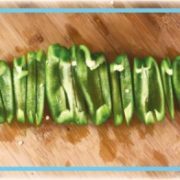 See The National Center for Home Food Preservation’s excellent website (http://nchfp.uga.edu/how/freeze/blanching.html), which details blanching times for a wide variety of vegetables. 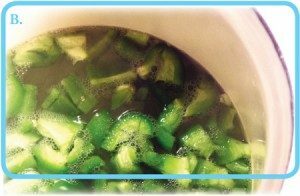 After blanching the vegetables, immediately plunge them into a bowl of ice water and keep them submerged for the same number of minutes that they were blanched. DRY & FREEZE. Dry & Freeze. Dry and Freeze. 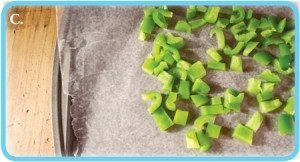 After thoroughly drying the veggies, arrange them in a single layer on a cookie sheet lined with parchment paper. Place the pan in the freezer until the vegetables are completely frozen, which usually takes a few hours. I find it easiest to use the frozen veggies when I store them in two-cup portions in Ziploc freezer bags, which I label and date. Before sealing, remove as much air as possible by sealing the bag until it is almost shut, inserting a straw, and sucking out the air. If you intend to freeze a lot of food, a food vacuum sealer is a wise investment. To ensure none of the veggies get lost in the recesses of my freezer, I keep a whiteboard nearby with a list of its contents. When I take out a bag of green beans, I simply erase it from the list. THAW. Thaw. Thaw. According to Cooks Illustrated magazine, one of my most trusted kitchen resources, when using a moist-heat cooking method, such as steaming or boiling, the vegetables can be used without thawing. This also holds true when adding frozen veggies to soups or stews. When using these cooking methods, frozen veggies will cook in half the time of fresh vegetables. When using dry heat cooking methods, such as stir-frying or sautéing, the folks at Cooks Illustrated found that partially thawing the frozen veggies resulted in optimal taste and texture. 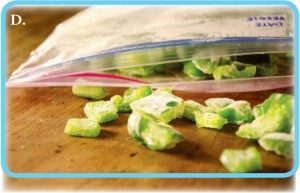 They recommend thawing a bag of frozen vegetables in the refrigerator for four hours or submersing the bag in cold water for 15-20 minutes. Freezing vegetables at home is an easy way to preserve locally grown food. But, in our already busy lives, is this extra step worth it? Why bother when grocery store freezers offer the same items, often organic? For me, all the reasons I eat local—superior taste, nutrition, supporting local farmers, and preserving the environment—come into play. But the most important reason is that I feel more comfortable knowing where my food comes from. While the organic label offers me some assurance, unfortunately, it is not the panacea I once believed it to be. I have learned to look beyond the organic label to understand where food is grown. Some vegetables, including organics, are grown halfway around the world. On more than one occasion, and much to my dismay, I have flipped over a bag of frozen produce only to see the words Product of Turkey or Product of China stamped on the package. All the quality control checks in the world won’t help me be as comfortable with food grown half a world away as I am with food grown in my own garden or by a local farmer I have come to know and trust. And, so, with just a bit of effort over the course of the summer, come October, my freezer will be bursting with bags of frozen veggies. What a delicious reminder of summer’s bounty! freezes plenty of fruits and vegetables. The effort is minimal and the reward is sweet—a taste of summer during the coldest days of winter. Big Momma’s young ones pig out at Brown Boar Farm in Wells,VT. “Mmmm. I haven’t had pork like this since I was a little girl,” my mother-in-law sighed as we finished dinner. The chops, perfectly marbled with a deep, rich color, were a far cry from the dry, tasteless pork that Americans have grown accustomed to over the past few decades. The difference? This pork was from Brown Boar Farm in Wells, Vermont, where heritage breeds of pigs are raised humanely, fed well, and given plenty of room to root. The result: pork that tastes simply sublime. 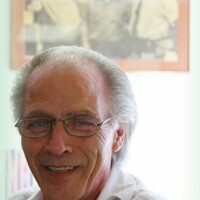 Brown Boar Farm is owned by Marshfield resident Peter Burrows. His daughter Meaghan, who lives in Scituate, runs the farm’s marketing efforts. Because of these close ties to the area, Brown Boar pork is available on the South Shore. No trip to Vermont necessary! 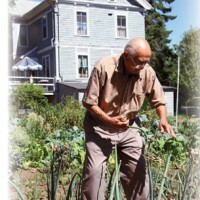 When they bought the farm, the Burrows intended to stick with what they knew best: growing vegetables. But, after a Vermont neighbor suggested they get some pigs to help clear the fields, they purchased 20 Tamworth pigs, a heritage breed renowned for its foraging ability. “We drilled holes in tree stumps, stuffed them with corn, and set the pigs to work,” explained Peter. The Burrows quickly saw that the pigs thrived when allowed to do what pigs do best: forage outside. So, they shifted the focus of the farm and started raising pigs. Soon, another heritage breed, Berkshire pigs, joined the Tamworths. The decision to raise heritage pigs was driven by many factors, but the superior taste of the meat was chief among them. Bred to be lean and mature quickly, commercially raised hogs stand in stark contrast to heritage pigs, which are traditional livestock breeds that have been raised by farmers for generations. Tamworths originated in Ireland and were first brought to America in the 1880s. Well-adapted to living outside during the harsh Vermont winters, Tamworths have long heads and snouts well-suited to digging and foraging. Currently, there are only 1500 to 2000 registered Tamworths left in the United States. Berkshire pigs, which are renowned in culinary circles for their superior taste, are known as Korobuta in Japan and enjoy a status similar to Kobe beef. These pigs yield a dark red, flavorful meat. 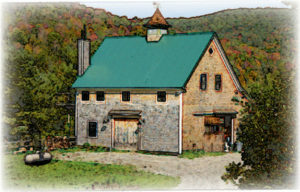 Brown Boar Farm in Wells, VT. 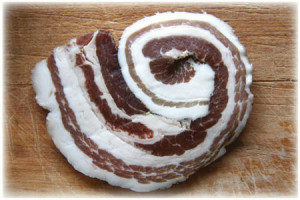 The manner is which the pigs are raised also influences the taste of the pork. To understand how different Brown Boar pork is from what you buy in the grocery store, you have to know a bit about what life is like for pigs on large commercial farms. Simply put, it is miserable. Crammed into pens, they are unable to engage in their natural behaviors of rooting and grazing and often wallow in their own excrement. These conditions stress the animals, raising the incidence of illness. At some industrial farms, pregnant pigs are confined to gestational crates that are so small they are unable to even turn around, and when it is time to give birth, they are prevented from engaging in their instinctive behavior to burrow and build a nest for their litter. 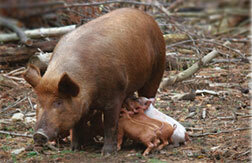 The life of a pig at Brown Boar Farm is about as different as possible from that of its commercially raised brethren. Although they always have access to shelter, Brown Boar pigs spend most of their time outdoors, where they live in small groups. They are held in large pens and are free to forage on grasses, clover, and nuts that fall from the trees that surround their enclosures. Because of their enormous appetites, a small group of pigs will decimate the grasses in their paddock every few weeks, so the animals are frequently rotated and the paddocks reseeded with a carefully chosen mixture of grasses, legumes, and annuals. Unlike other types of livestock, pigs have only one stomach and cannot subsist on grasses alone. The four stomachs of ruminant animals, such as cows, convert grass to protein, which does not happen with pigs. So, to ensure they are receiving adequate vitamins, minerals, and protein, the pigs’ diet has to be supplemented. In addition to what they forage in the pastures, the Brown Boar pigs eat grain, leftover organic or pesticide-free produce from nearby farms, apple mash, and whey from a dairy farm located down the road. The pigs drink fresh mountain water, which, as Peter says, “might be a ‘secret ingredient’ that contributes to the distinctive taste of our products.” In a small barn dubbed “the nursery,” the pigs give birth in a roomy pen and the piglets stay indoors with their mother until they can survive outside. Brown Boar pigs are never given any growth hormones or non-therapeutic medicines. 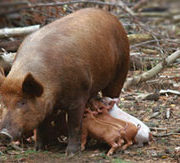 At any given time, Brown Boar is home to about fifty pigs. Eventually, the Burrows would like to maintain a breeding stock of thirty sows, which will produce several hundred pigs a year. Brown Boar Farm’s commitment to animal welfare extends to even the last phase of the pigs’ lives: slaughter. As farmer Julie Barber says, “you can raise a great animal and it can be ruined at the slaughterhouse.” Their pigs are slaughtered at Eagle Bridge Custom Meat & Smokehouse, an Animal Welfare Approved facility located in Eagle Bridge, New York. Both Brown Boar and the slaughterhouse use many of the techniques championed by animal welfare advocate Temple Grandin to make the final phase of the pigs’ life is as humane as possible. Eagle Bridge, a small, family owned facility, also has an on-site USDA inspector who oversees the slaughtering process. The South Shore is now Brown Boar’s largest market, but when the family first bought the farm, finding their niche took some time. Luckily, a serendipitous conversation at the preschool playground helped them establish a relationship with Cohasset’s Holly Hill Farm. As Meaghan explains, “it all started at the swing set.” As she pushed her children on the swings, she struck up a conversation with the father standing next to her. Jon Belber, the Director of Education at Holly Hill Farm, was intrigued when he heard Meaghan’s family owned a pig farm in Vermont. Jon was eager to try pastured pork, so Meaghan offered to bring him a sample. 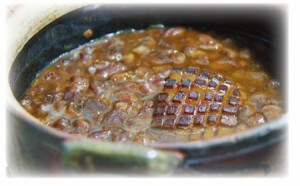 After his first taste, he was hooked and proposed that Brown Boar sell its pork at Holly Hill Farm. So, once a month, Julie loads up the refrigerated van and heads to the South Shore, where the pork is sold at Holly Hill Farm and more recently at both the Marshfield and Plymouth farmers’ markets. As word has gotten around about the superior taste of Brown Boar pork, it has gained several restaurant customers, including Chef Barbara Lynch’s popular Boston restaurant The Butcher Shop. Customers choose Brown Boar Farm for many reasons: to support a family farm, to buy locally, or to reward the farm’s commitment to humanely raising their animals. While, as Meaghan says, “it takes a bit of a leap of faith to purchase meat out of the back of a van,” once customers get a taste of pork as it is meant to be, there is no going back. For delivery information, please email Meaghan Burrows Swetish at meaghan.swetish@brownboarfarm.com or “like” Brown Boar Farm on Facebook. Brown Boar will also custom butcher whole and half pigs and can offer roaster pigs of various weights for a special summer barbeque. Julia Powers lives in Hingham with her husband and three children, who are devoted fans of Brown Boar pork. The family favorite: risotto with Brown Boar sausage, caramelized onions, and herbs! 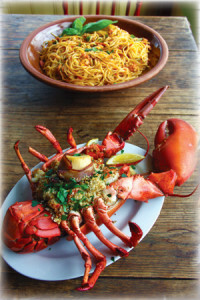 Ten years ago, eating local seemed like, if you will excuse the pun, a foreign concept. 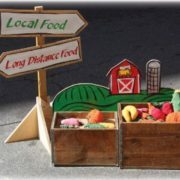 But, as the benefits of locally sourced foods have become more widely known, many South Shore residents have embraced eating locally. We might also consider drinking locally . . . In America, bottled water and soda are ubiquitous, but a quick glance at supermarket shelves makes it clear that a few large companies dominate the market. Coke and Pepsi, which are also in the bottled water business, own Dansani and Aquafina, respectively. And Poland Springs, a name that is synonymous with Maine, is owned by Nestlé. But there is a local alternative! 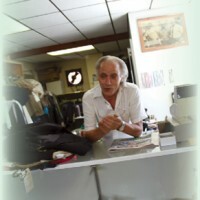 The Simpson Spring Company, a small, family-owned business located in South Easton, sells bottled water and twelve classic varieties of soda. The business is, quite literally, built around a natural spring that has been in use since at least the 16th century, when the Assowompset, a Native American tribe, drew drinking water from the bubbling spring. Early colonial settlers followed their lead and began to use the spring for drinking water. In the 1830s, the spring acquired its current name when a local blacksmith, Samuel Simpson, bought the land on which the spring was located. In 1878, his grandson-in-law, Fredrick Howard, purchased the land and began delivering stone jugs filled with Simpson Spring water to the Brockton shoe factories. 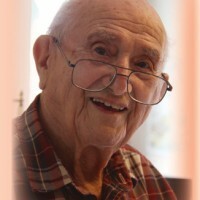 Concurrently, as carbonated beverages became the rage, Howard used the spring water to make carbonated sodas; demand for both the water and soda soared. The 1920s brought big changes to the company. Prohibition further heightened demand for soda, leading to significant sales growth. And Fred Howard sold the company to the White family. 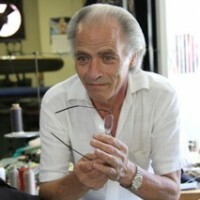 They owned it until 1988, when it was sold to the current owners, the Bertarelli family. The bottled water and soda industry has changed significantly since the late 1800s, and as one of the oldest independent bottlers in the country, the Simpson Spring Company has adapted to these changes. To compete against national brands, the Bertarellis developed their own niche: marketing delicious spring water and hand-mixed soda to the local market in the traditions established by their predecessors. As a result, much about the company harkens back to a different era. 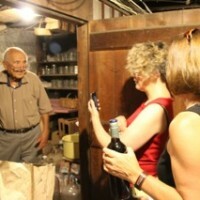 Sodas and single serve waters are sold in glass bottles, the syrups used to mix the soda are still based on Fred Howard’s original recipes, and the company is housed in a historic building dating from 1878. This commitment to tradition has not always been easy. When the soda giants switched to plastic bottles, it became so difficult to find a bottling machine that would accommodate glass bottles that Jim Bertarelli eventually had to import one from Italy. 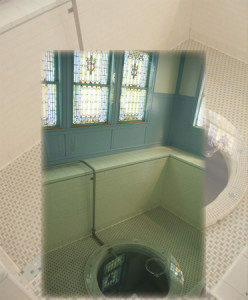 Given that the Simpson Spring is the lifeblood of the company, it seems fitting that it is housed in a room that is faintly reminiscent of a chapel, complete with beautiful stained glass windows. Geologists believe that Simpson Spring gets its start in Northern Canada and then travels, deep underground, hundreds of miles to South Easton, where a fissure allows it to bubble up to the surface. Customers prize the purity of Simpson Spring water and independent lab tests are done twice weekly, once at the source and once after bottling, to ensure the high quality standards that the Bertarelli family and their customers demand. Sales of the spring water accounts for about 80% of the company’s business. The water is sold in individual glass bottles and in one, three, and five gallon jugs. Home delivery is available or customers can fill up their own containers at any one of fourteen self-service sites located throughout the South Shore, including the company’s South Easton headquarters. Seltzer water, both plain and flavored, is also available in half liter glass bottles. Unlike many other brands of seltzer water, the taste of Simpson Spring carbonated water is subtle. Their flavors include lemon-lime, pink grapefruit, and native cranberry. The flavored seltzer water is made with essence of fruit juices and contains no artificial sweeteners. Simpson Spring sodas are not your everyday soda; the tastes are intriguing and notably less sweet than the national brands. As you might expect, it all comes down to the ingredients. Most soda is about 90% water, so it follows that great tasting soda starts with great tasting water, such as Simpson Spring. The flavors include: raspberry lime rickey, ginger ale, cream soda, coffee, cola, fruit punch, grape, white birch, root beer, sarsaparilla, orange, and lemon lime. Tastes change over time and this is reflected in the Simpson Spring product line; chocolate and pineapple coconut sodas are no longer offered. Raspberry lime rickey and white birch are the current best sellers. Simpson Spring sodas are available at the Fruit Center in both Milton and Hingham and at numerous specialty retailers throughout the South Shore. Simpson Spring products are also available at several area farmers’ markets. 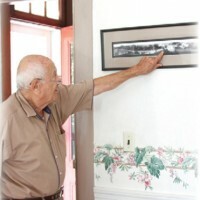 As another way of honoring Simpson Spring’s legacy, Christine and Jim Bertarelli have lovingly preserved the company’s historic building, maintaining some spaces as they were in the early 1900s. Tours of the facility are offered each Saturday and by appointment. In addition, the Bertarellis are strong supporters of local foods, even holding a weekly market at their South Easton facility featuring other area vendors. The reasons for eating local are the same reasons it makes sense to drink local. Chief among them are boosting the local economy by supporting a South Shore-based family business and the reduced environmental impact that comes from forgoing water and soda that is shipped hundreds of miles. 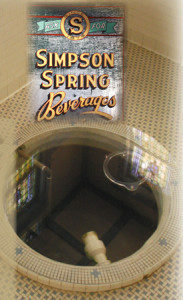 But, once you taste Simpson Spring water and soda, it will come down to one very important reason—the excellent taste. 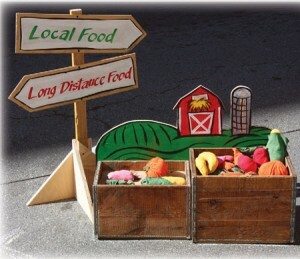 Julia Powers is a strong believer in the many benefits of eating locally. She was thrilled to learn that she can now drink locally as well. Simpson Spring cranberry seltzer is her current favorite.